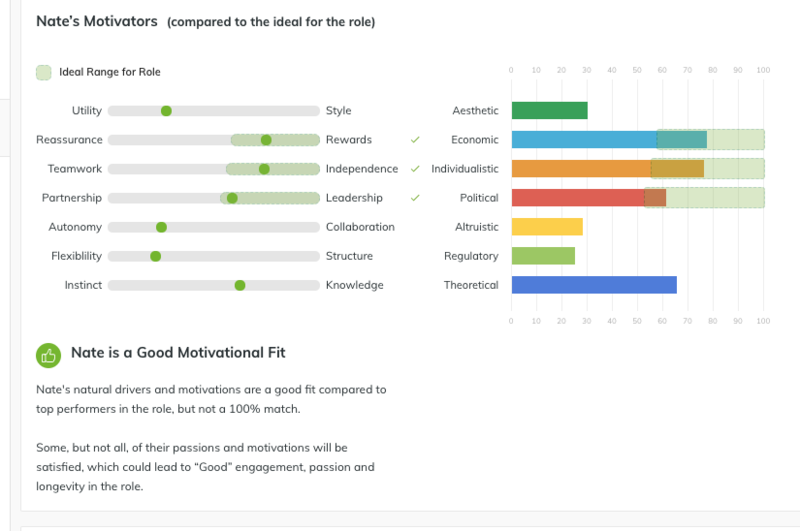 There are 2 measurements that go into WizeHire's Personality Fit score, and you can see them when you click on the 'Personality Fit' tab of your applicants. 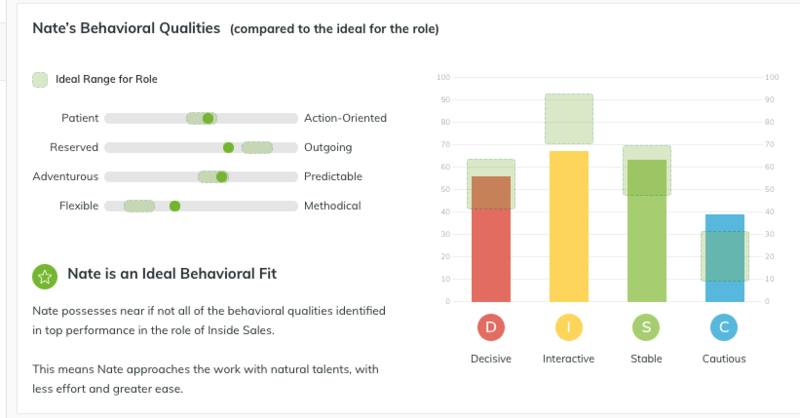 >> Behavioral (Job Fit) - how well their natural talents and skills match up to those of the top performers in the job. >> Motivational (Culture Fit) - measures if they are motivated by the same environment as top performers in the role.